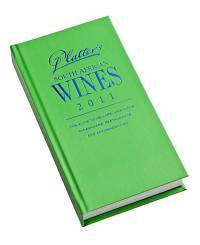 I’ve just returned from the launch event for the 2011 Platter’s guide to SA wines. It was quite traumatic. I mean picture this: the fifty eight 5 star wines lined up waiting to be tasted and you with a glass in your hand. Sounds perfect, right? Now add a time limit and a hundred other winos (that’s like a wine version of a foodie, not as in a bum) who will be getting in your way. The outcome of this scenario is that you only get to taste a few wines, but man alive, they are good. The guide is green this year and that apparently points to the inclusion of information on sustainability in this edition. Organic wines and wines that are certified as sustainable are indicated as such in the guide. The guide has masses of useful information, mostly focused on wines and estates but also on the South African wine industry in general. For instance, did you know that per capita wine consumption in SA has dropped from nearly 10 litres in 1999 to less than 7 in 2009? Or that beer, brandy and whisky have all increases market share since 2000 while wine has decreased (pg 38). The main focus of the Platter’s launch is the announcement of the 5 star wines. This is a high accolade and heavily coveted in the industry. All 18 judges put forward several recommendations for 5 stars, which are all blind tasted by the panel and those with enough votes go through to become the 5 star wines. This year, out of the 150 nominations, 58 made it. They are listed below. You can purchase the 2011 Platter’s guide at Kalahari.net.